The rapper was spotted taking his apparent side chick to watch the Floyd Mayweather fight at Hard Rock Cafe in Sandton. 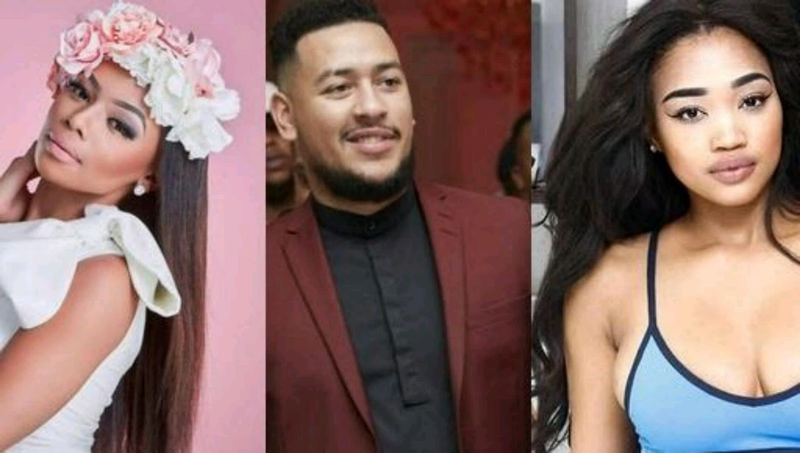 AKA is allegedly cheating on Bonang, two years into their relationship, which began on a rocky foundation, reports Sunday Sun. The woman AKA is allegedly cheating with is Nicole Nyaba, a model who doubles up as a video vixen and is popular on Instagram for sharing racy pics. In the pic below she is posing in front of a BMW i8 that is similar to the one AKA drives. "While B was busy rehearsing for the recent DSTV Mzansi Viewers Choice Awards, Nicole was busy with AKA. Nicole was even with AKA at the screening of the Floyd Mayweather fight at the Hard Rock Cafe in Sandton,” a source revealed. Another source alleged Bonang wouldn’t leave AKA because she didn’t want to give haters the satisfaction of seeing her relationship end after she cheated with AKA behind DJ Zinhle’s back. Nicole has denied dating AKA, while the rapper asked not to be bothered. Bonang’s manager, Sylvester Chauke, said there wouldn’t be any comments on the star’s love life.